I love summer! It's hot, I can wear a tank top everyday, it is the only time of the year my hands and feet aren't freezing (ask my husband! )...I could go on and on! I was day dreaming of summer this morning as I dug my umbrella out from under my truck seat. Yuck. I didn't really feel like we got weaned off of summer very kindly this year. I woke up one morning to rain and it's been raining every day since--ok, maybe not literally, but it seems like it. 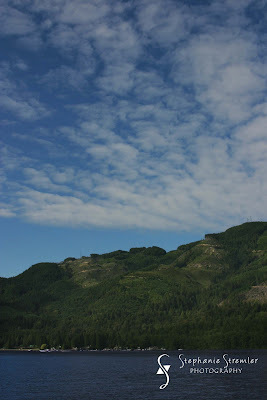 So to help myself through this rough transition I decided to go back and revisit some of my July shots at Lake Samish. 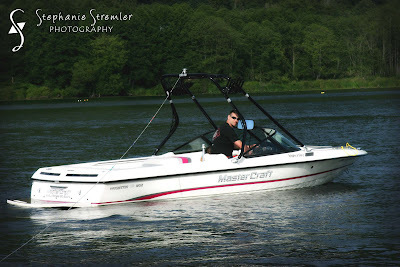 Ahhh, I can almost feel the hot sun rays, the warm refreshing water, the spray of the water as I wake board around the lake...come to think of it--I'm not sure if this little exercise is making my transition smoother or harder. At any rate--enjoy your summer memories 'cause we aren't going to see the sun around here for at least another nine months! Here are some of my memories. The lovely lake and a stunning sky! My in-laws' neighbor driving the boat. His two daughters love the water--serious mermaids! 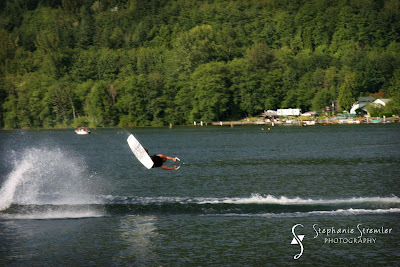 Our friend Andy completing an awesome flip on the wakeboard.